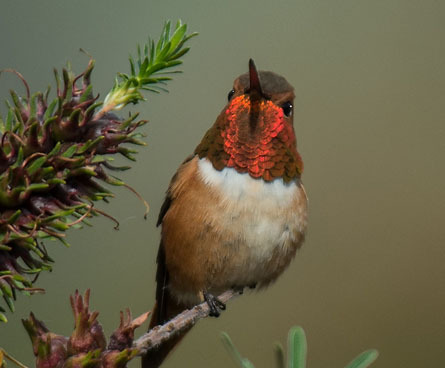 Hummingbirds are found across the United States, with ruby-throated hummingbirds commonly found in the east and rufous hummingbirds most often seen in the west. Both are bright-colored and a real pleasure to watch! 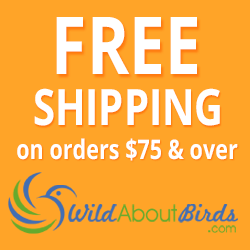 Hummingbirds are active and often territorial birds that are very food-centric. Even when they aren't eating at a feeder, male hummingbirds will often chase other birds away from the food source. If you want to enjoy hummingbirds, put up a couple of feeders in the early spring. Hummingbirds will often take note of areas where feeders are out early and settle nearby. 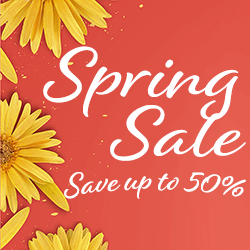 You can also plant flowers or shrubs to attract hummingbirds. 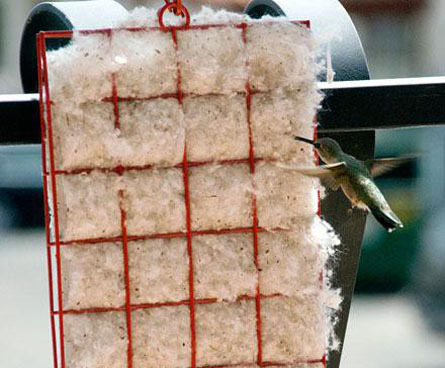 Hummingbirds make their own nests, so you can't tempt them with a birdhouse. Instead, put out some nesting materials to make nest-building easier. 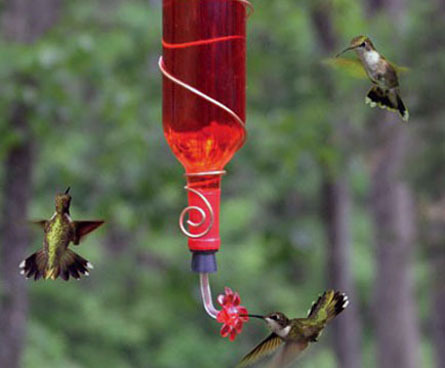 You don't need to spike hummingbird nectar with red food coloring or dyes; instead, buy a red feeder or tie a red ribbon on the feeder to attract hummingbirds. To make your own hummingbird nectar, mix 1 part sugar and 4 parts water and then bring to a boil for a minute or so (stirring often). Let cool and serve! 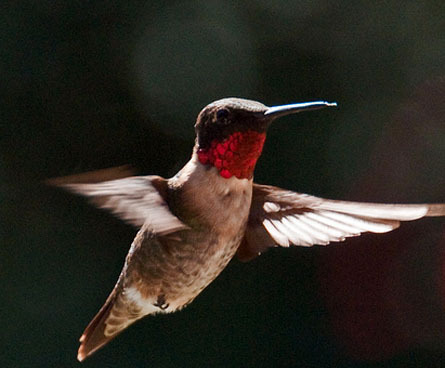 For more about hummingbirds read How to Attract Hummingbirds to your Yard.